My Sports Talk column in December last year predicted there was going to be plenty of action at Bay Oval this season – and we certainly got that! It has been a memorable season at the Oval and congratulations are due to all involved with the Bay Oval Trust. It has been simply spectacular, providing much entertainment and wonderful competition for the New Zealand White Ferns and Black Caps teams. No doubt there will be a steady stream of quality matches scheduled for Bay Oval in years to come, but for now it is just good to reflect on the good times we have enjoyed already. On the home front, representative cricket for all Bay of Plenty Cricket teams has been a little frustrating this year with results not being a fair reflection of the efforts made. Senior prize giving is scheduled for April 4, after which reviews and planning will commence in earnest for a return to better things in the 2018/2019 season. But talking of better things, I want to share the wonderful success that Bay of Plenty Cricket is enjoying in the development aspects of our women’s and girls’ game. Under the leadership of our Women’s Cricket Development Officer Rebecca Yee, our Go Girls programme has gained popularity over recent years. So much so, we had more than 30 teams at the recent Rainbow Cup festival, an event which was made even more special by the chance to meet and play with some of our White Ferns players (ahead of their match that night). 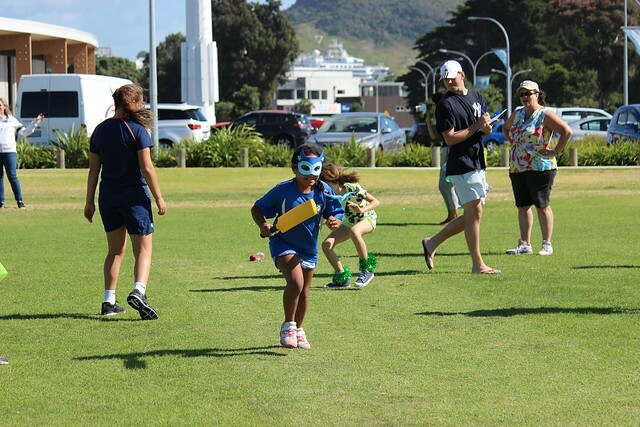 It was a great day, with each team playing three matches, and all 300 girls at Bay Oval having a wonderful time. We know we live in a fantastic part of New Zealand, and to put that into perspective there is now a steady stream of first class and international cricketers purchasing property here in the Bay of Plenty. They see this as both a sporting mecca and a great place to raise their families. If we need any encouragement for continuing our efforts to maintain, improve and promote our various sporting codes, then I suggest the endorsement of the environment here by these individuals is all that you need. Best wishes for a successful season in 2018 to all winter codes in the Bay. Please click the right arrow below to view photos from the recent BOP Rainbow Cup Go Girls Cricket Festival.